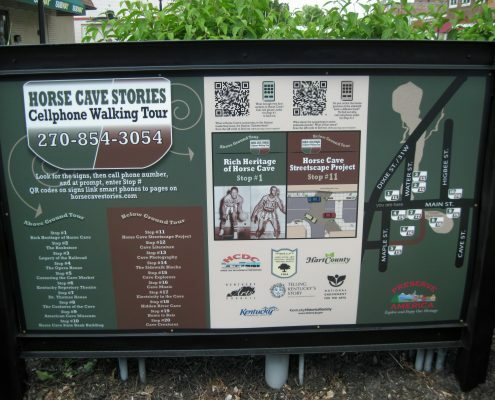 The 20-stop tour begins right downtown Horse Cave and takes about 30 minutes. You can even scan bar codes with your smart phone and go directly to the website while you’re touring. Or just check out the website from home, and make plans for a later visit.